For readers who loved Wonder and The Curious Incident of the Dog in the Night-Time this extraordinary debut will make you laugh and cry. A story that crosses time and generations, for adventure-loving readers young and old. "My dad died twice. Once when he was thirty nine and again four years later when he was twelve." On Al Chaudhury's twelfth birthday his beloved Grandpa Byron gives him a letter from Al's late father. In it Al receives a mission: travel back to 1984 in a secret time machine and save his father's life. Al soon discovers that time travel requires daring and imagination. It also requires lies, theft, setting his school on fire and ignoring philosophical advice from Grandpa Byron. 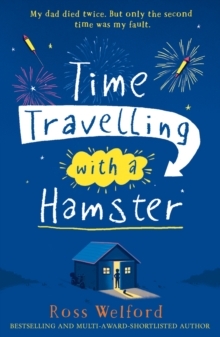 All without losing his pet hamster, Alan Shearer... Time Travelling With a Hamster is a funny, heart-warming race-against-time - and across generations - adventure that you will won't be able to put down.